When to Report 1. OSHA Recordkeeping Requirements 1. Who Should Report 2. Employee Responsibility 2. Supervisor Responsibility 2. Tips for Reporting Incidents 3 ... An explanation, with examples, is included on the backside of the OSHA 300 Form. Page 1 of 9. Administrative Reference – Volume I. 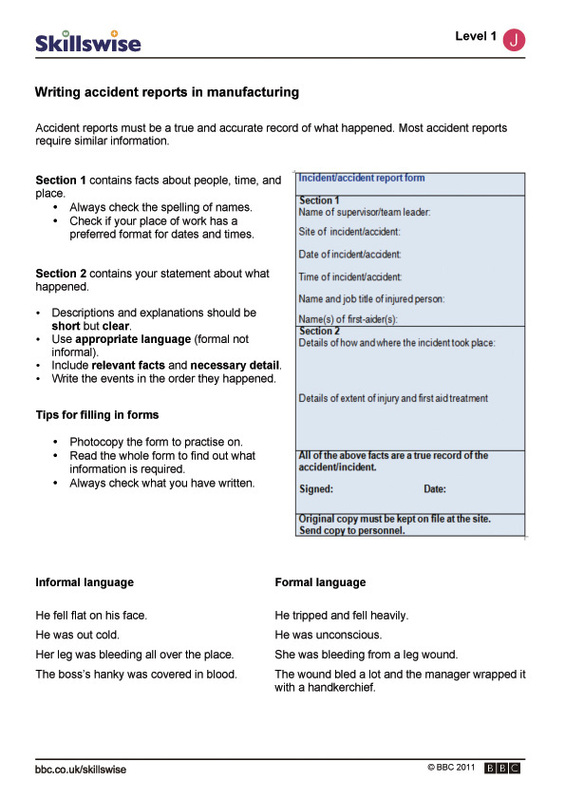 Incident Reports.